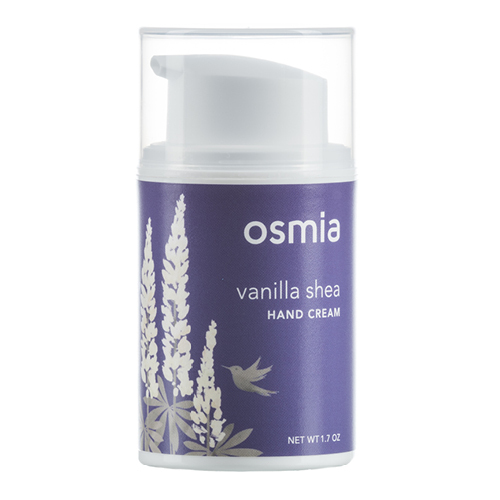 Applying Vanilla Shea Hand Cream extends skincare to your hands with the purity and high quality of ingredients that Osmia Organics is known for. Delicately scented with luscious vanilla, this hand cream is non-greasy, and offers a luxuriously hydrating feel in a perfect on-the go pump bottle. Apply a pea size pump of to hands and massage in throughout the day.